We are The Music Centre. 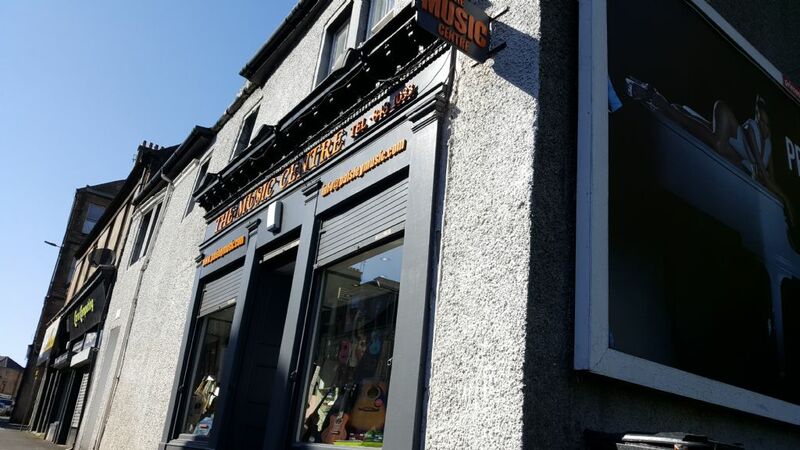 Paisley's music instrument shop. We pride ourselves on having a great selection of Guitars, Basses, Banjos, Keyboards, Drums , Brass & Woodwind, Violins, Mandolins and much, much more. Dealers for some of the best brands including; Fender, Ibanez, Yamaha, Laney, Roland/Boss, Martin, ESP/LTD, Dean and many more. We also have a first class Repair Service, with engineers able to handle amplifier/speaker, effects pedal, brass & woodwind or stringed instrument repairs. At the Music Centre, we concentrate our efforts into giving you the best instrument retail service possible, at great prices!